Many of the Bourne Society’s publications were printed in small numbers with the result that around a half of the Society’s fifty books and booklets has sold out, some of them many years ago. 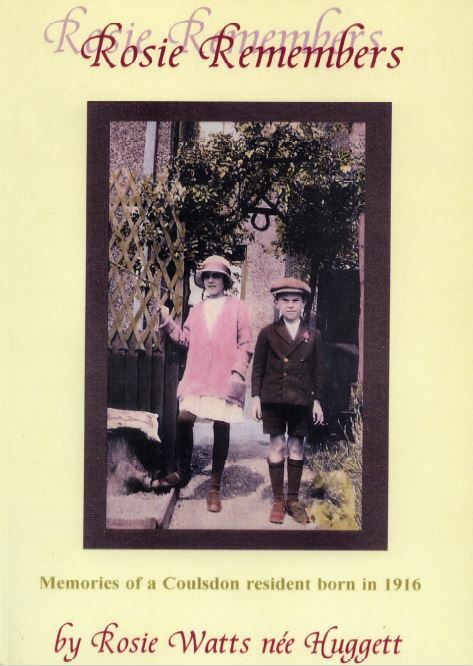 This page includes a sample of these out-of-print booklets, made available here for free download, together with a selection of articles taken from the regular quarterly journal, Local History Records (or the earlier sister journal Bulletin), covering different aspects of local history in the Bourne Society area. It is hoped that more will be added as time allows. Rosie Remembers by Rosie Watts, née Huggett, assisted by her daughter Jackie Colman. Memories of a Coulsdon resident born in 1916, collected from articles in LHR and Bulletin and originally published in book form with additional material in 2001. Henry Morgan. Purley Newsagent. Purley Pioneer by Jean Hain who interviewed Olive Himsley, Henry Morgan’s youngest daughter, at age 91. A Celebration of the Bourne. [PDF] This popular publication is now out of print. A discussion and elaboration of its contents appears elsewhere on this website. Bourne Doodlebugs. [PDF] In 1994 the Bourne Society published the booklet, Bourne Doodlebugs, by the late Peter Flint, to commemorate the 50th anniversary of the V1 Doodlebug flying bomb offensive. In 1864 Scottish author Robert Chambers published what has become known as The Chambers Book of Days (actually entitled “The Book of Days: A Miscellany of Popular Antiquities in Connection with the Calendar, Including Anecdote, Biography, & History, Curiosities of Literature and Oddities of Human Life and Character”). This was a work in two large volumes that listed, for each day of the calendar, the saints connected to that day as well as famous persons born or dying on that day. Some people were then described in more detailed articles to stimulate the interest of the reader. Many Books of Days have been published down the years, and in 1995 John D. Matthews produced such a work for the Bourne Society. For every day of the year several entries are given, each one of potential interest to the local historian researching this area. Topics range from court cases, novelty items of local news, war time events, public gatherings such as fairs, and observations on nature. The events recorded are generally very short but span a very wide period, some going as far back as the 13th century. The book is an absolute mine of information not easily found elsewhere. 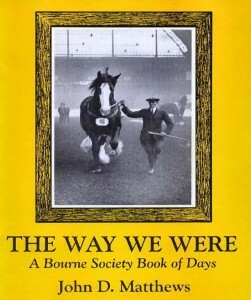 John Matthews’s book, published under the title The Way We Were / A Bourne Society Book of Days, is no longer in print but is available here for download in secured PDF format. Please click this link to begin the download.